St. Martin's Griffin, 9781250055125, 336pp. 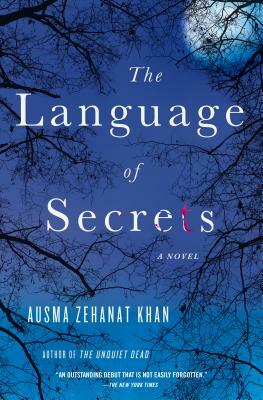 The Unquiet Dead author Ausma Zehanat Khan once again dazzles in The Language of Secrets, a brilliant mystery woven into a profound and intimate story of humanity. Detective Esa Khattak heads up Canada's Community Policing Section, which handles minority-sensitive cases across all levels of law enforcement. Khattak is still under scrutiny for his last case, so he's surprised when INSET, Canada's national security team, calls him in on another politically sensitive issue. For months, INSET has been investigating a local terrorist cell which is planning an attack on New Year's Day. INSET had an informant, Mohsin Dar, undercover inside the cell. But now, just weeks before the attack, Mohsin has been murdered at the group's training camp deep in the woods. AUSMA ZEHANAT KHAN holds a Ph.D. in International Human Rights Law with a specialization in military intervention and war crimes in the Balkans. She has practiced immigration law and taught human rights law at Northwestern University and York University. She is the former Editor in Chief of Muslim Girl magazine, the first magazine targeted to young Muslim women. Khan currently lives in Colorado with her husband. The Unquiet Dead is her first novel.